Home Uncategorized Is Brushing With Toothpaste Important? Is Brushing With Toothpaste Important? Brushing with toothpaste is important for several reasons. First a toothpaste and correct brushing technique help to remove plaque from your teeth which is a sticky, film of bacteria that can cause cavities and gum disease if not removed. 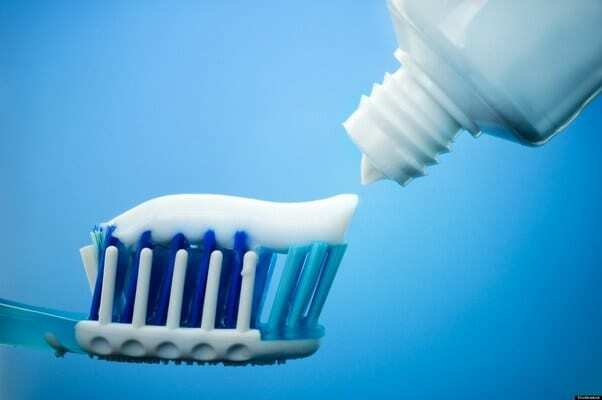 Second, toothpaste contains fluoride which helps to make teeth more resistant to tooth decay. Third, there are special ingredients in toothpaste that help to clean and remove stains over time as well as freshen your breath to leave your mouth with a clean feeling. What Type of Toothpaste to Use? There are many different brands of toothpaste on the market that appeal to buyers for various reasons. • A fluoride toothpaste works effectively to fight plaque and cavities as well as clean and polish your tooth enamel. It is believed to be one of the most important ingredients in toothpaste. • If your teeth are sensitive to hot and cold, consider using a desensitizing toothpaste. This toothpaste may require you to use it for at least 1 month before the effects are felt. • Toothpaste containing baking soda and or hydrogen peroxide are both good cleansing agents. • Tartar control toothpaste contain pyrophosphates to prevent the build-up of soft calculus deposits on your teeth. • Whitening toothpaste aim at safely removing stains to make teeth brighter and shinier, but they can’t match the effectiveness of a professional whitening administered by a dentist. Whichever toothpaste you decide to use, make sure it has the ADA (American Dental Association) seal on it. Using an extreme large amount of toothpaste on your toothbrush does not really help to clean more effectively. A pea size amount is sufficient and a ½ pea size for young children. Brushing with toothpaste is not enough to fight cavities, but brushing thoroughly after each meal helps to remove the food particles between teeth and at the gum line which can help remove the unwanted bacteria and plaque from your teeth that if left can contribute to cavities and gum disease. Toothpaste does offer its advantages.